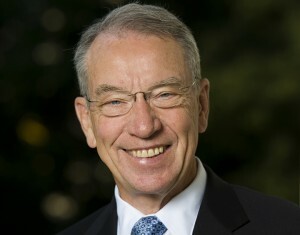 U.S. Sen. Chuck Grassley (R-IA) said today that Luis Angel Martinez of Des Moines and Harrison Patrick Gudorf of West Des Moines have received appointments to the U.S. Naval Academy in Annapolis, MD, and the U.S. Military Academy in West Point, NY, for the 2015-16 school year. Martinez is the son of Ma and Rafael Martinez of Des Moines. He will graduate in May from Abraham Lincoln High School. Martinez served as captain of the academic decathlon team, co-captain of the Central Academy Science Bowl, treasurer of the Abraham Lincoln Key Club, secretary of the Abraham Lincoln National Honor Society, and JROTC Battalion Commander. He also participated in the Des Moines Astronomical Society and a summer science program in astrophysics. Gudorf is the son of Shelley and Joe Gudorf of West Des Moines. He will graduate in May from Dowling Catholic High School. Gudorf participated in concert band, the American Legion Boys State, the Dowling Catholic ultimate frisbee team, and the Summer Leadership Experience at West Point. He also served as a marching band section leader, a volunteer for the Kiwanis Miracle League, a volunteer for the Salvation Army, and an Eagle Scout in the Boy Scouts of America. Gudorf also works at Hy-Vee and is a Tae-Kwon-Do second degree black belt. Martinez and Gudorf were among the 37 Iowans Grassley nominated this year for appointments to the U.S. service academies. Upon receiving an appointment, the student then decides whether to attend the academy. For more than 200 years, these academies have educated and trained individuals to lead and command the U.S. armed forces. For more information about seeking military academy nominations, visit Grassley’s website by clicking here.